Innovation and elegance have always been at the forefront of Expand’s mentality. Some messages are subtle. Some need to be shouted from the highest point possible, and some messages need to be showcased in a new, unique way. No matter the impact you want to make with your message, Expand has you covered, now more than ever! We are proud to announce the Expand GrandFabric! 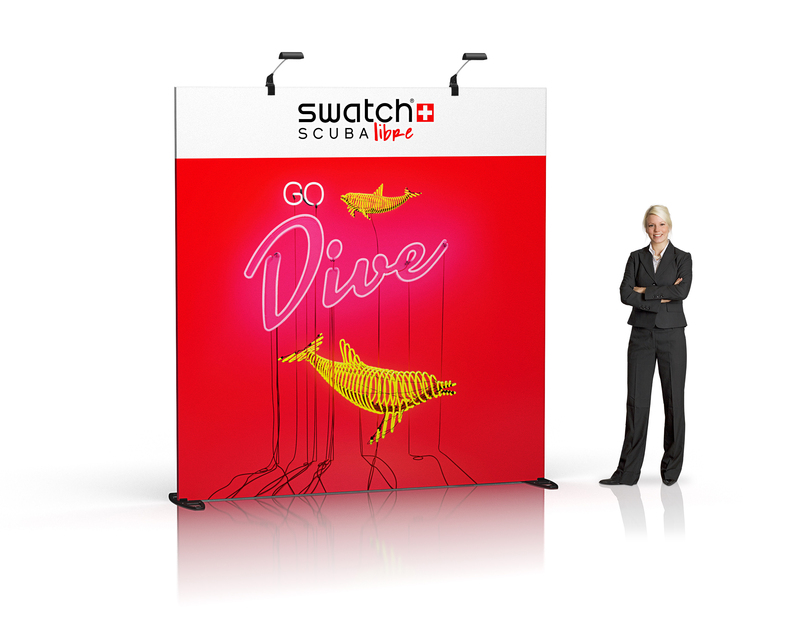 Expand GrandFabric is a professional-grade, rebrandable, portable event wall system that is well suited for any tradeshow, pop-up shop, and experiential activation. Whether you have a small 10’x10’ space or a large presence at a convention center, the Expand GrandFabric is a perfect fit! The system comes in 10 standard sized frames. The frames are collapsible, and each section is connected with bungee cords for easy construction in the field. When the display is set up, add some of the many Expand GrandFabric accessories to show off your brand to its fullest! When you want to make a grand statement, the Expand GrandFabric is the best way to show off, “Your Message Where it Matters”! Rectangle shape of hardware tubing sections creates high end look…easier to pillowcase graphics too!